23 processionals, carols, farandoles, branles and pavanes from England, France, Hungary, Germany and Spain. These are set for soprano and tenor recorders, hand drums, triangles and finger cymbals. Recorder range is C to high E (intermediate level). 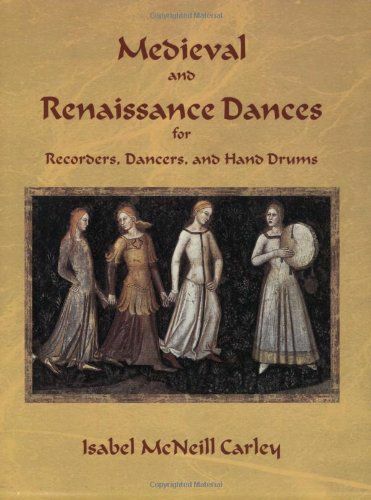 Includes background information; 4 pages of exercises and tunes for hand drum, with permission to copy hand drum parts; and easy line, circle and partner dances with directions and practice hints. A student book with enlarged print comes with the teacher book.